Boy, are you in for a treat today! The amazing homeschool mommas (who also happen to write fabulous reviews for you) are sharing some of their best, well-seasoned homeschooling tips for you today. You will be blessed. Be sure to browse the tabs above to find curriculum reviews in the age and category you are looking for. You might also enjoy these that we’ve selected from our archives. The Curriculum Choice authors have active blogs where they regularly offer ideas and experiences about their homeschool adventures. 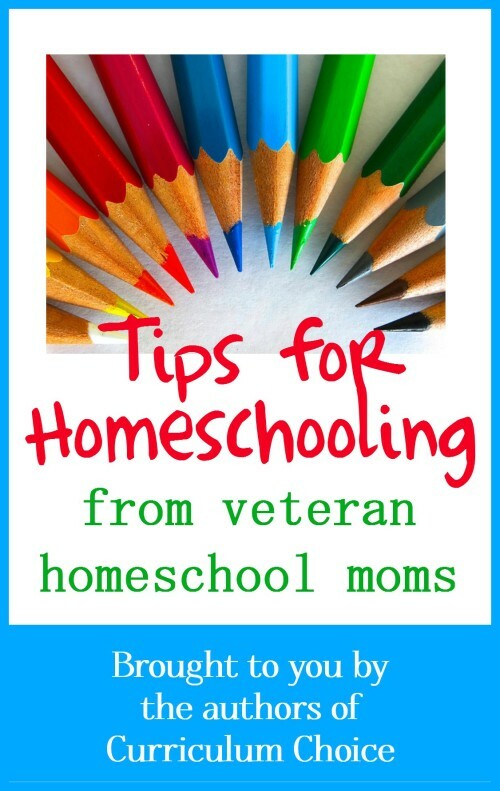 Below are their very favorite homeschool tips. I have been homeschooling eclectically with the Charlotte Mason method for many, many years now. As my oldest is about to graduate, I can finally say with full certainty that it worked! Homeschooling worked! The Charlotte Mason style worked! My daughter is very smart, well adjusted, loves to read and has developed many interests and skills along the way. Life is school. School is Life. Make learning a lifestyle rather than compartmentalizing it into three or four hours of your day. Do what works for your own children. Never feel like you have to stick with a certain curriculum, daily schedule, or homeschooling method if it isn’t working. Read together as a family. A lot. Books make a big difference in learning and homeschooling joy. 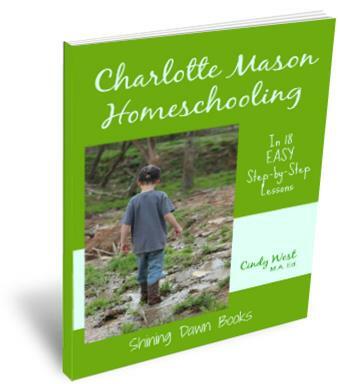 If you’d like to learn how to EASILY work toward a Charlotte Mason style of homeschooling, you might like my book Charlotte Mason Homeschooling in 18 EASY Step-by-Step Lessons. I promise, it’s practical and encouraging. And on sale for you! If you use the code EASYHOMESCHOOL, you can get the book for only $6.00 from now to forever. We are in the midst of our eighth homeschooling year. In the beginning, I never would have anticipated that we would approach the education of our children in a Charlotte Mason / Unschooling style. These educational philosophies seem to have intertwined themselves in our home, so that the what we do is highly influenced by Charlotte’s writings and their application to our modern world; and the how we do it is influenced by the writings of unschooling advocates. With the “Rule of 5” in the back of my mind at all time, I have come to realize over the years that learning takes place in unexpected little visits, errands, jaunts, and of course our travels. As Cindy described earlier, make learning a lifestyle rather than compartmentalizing it. I have written a lot about the learning adventures which have entered our lives because I have kept the “Rule of 5” in mind. I encourage you to read my post, Homeschooling; Naturally, if you would like to learn more. I am sure you’ll find inspiration for your daily outings. As veteran homeschoolers, we know there is power in numbers and community is essential. We need other homeschooling families to walk the journey with us; for camaraderie, for ideas, and to sometimes share the load. As homeschoolers, we have the freedom to hang out with our friends and get school done at the same time. Over the years, we have learned that we don’t have to be our children’s only teacher. Friends can work together, each sharing unique interests and skills. One of our favorite ways to learn with others is through co-ops. We’re not talking about starting an all-day co-op, with dozens of families. We mean getting together with a few friends to study a specific subject. In our opinion these are great small co-ops to begin with. They are fun and super easy to get going. Like Cindy, I have lots of tips I could share. But I will start with one of my very favorite quotes by a homeschool mentor of mine. These words have encouraged me so much at key times in our homeschool journey: You can’t change what you have or haven’t done over the past year. Just start where you are, ask the Lord to make you a “joyful mother of children,” pray for grace and wisdom (and strength and patience), and move forward. ~ Vicki Bentley, HSLDA The Early Years and Everyday Homemaking. 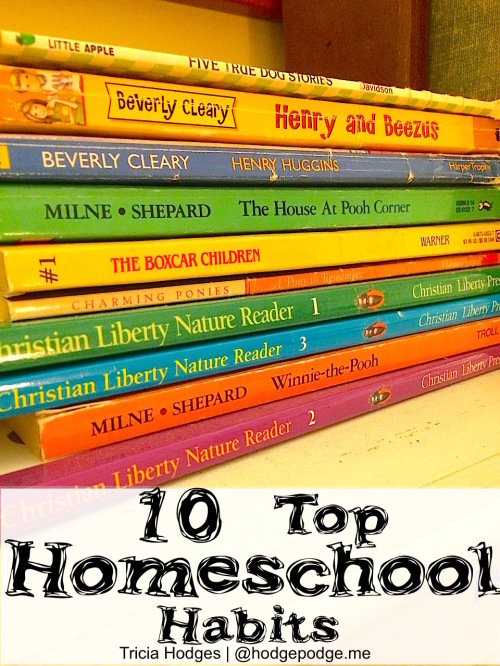 This collection of posts are the ones most read by fellow homeschoolers. From curriculum choices to helpful homeschool habits to Bible study and character training: Top Homeschool Habits at Hodgepodge. It also includes links to Help! I’m Homeschooling! our ebook – which is packed with the practical, how to advice to encourage you and build your confidence – whether you are a brand-new homeschooler or a seasoned veteran. Plus our FREE ebook – Return of the Routine: 6 Simple Strategies for Success. How about some Homeschool Lunch recipes. Oh that is one tip we are always needing in the midst of the homeschool day! Follow Curriculum Choice’s board Homeschool Lunch on Pinterest. Here are a few tips I’ve gathered in the last 9 years of homeschooling. Now that we have two high schoolers, it’s easy to look back and see how our homeschool has developed as our children have gotten older. Organizing Your Homeschool Library– Every homeschooling family needs a strategy for handling books. This set of tips will help you keep the books available for students to use and to put back! 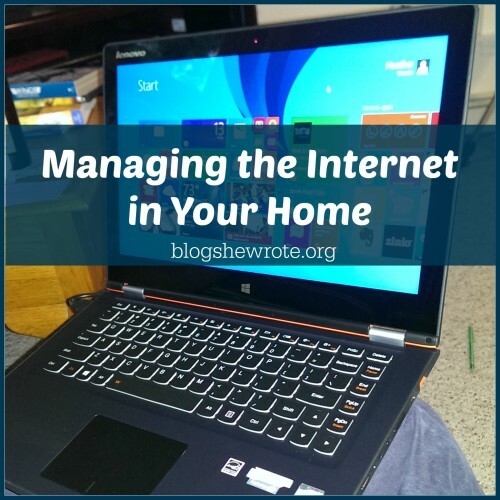 Managing the Internet in Your Home– As homeschoolers we use the Internet for many educational and recreational adventures. Keeping our kids safe is important and knowing how to manage access control will help. Enjoy this informative series on how to control access with your router. How to Homeschool with a Kindle– Tips on how to use this inexpensive tablet in your homeschool. This has been an invaluable tool in recent years. Do you know how to take advantage of its features? Essential Elements of a Home Learning Environment– This is a gathering place for all the tips we’ve found successful in using our home as an essential part of our learning. What’s important and what can you let go? January is here…already! My name is Betsy, from BJ’s Homeschool, and I have been a member of this wonderful Christian author team since 2011 and have been homeschooling since 1999. Having homeschooled almost two decades, I’ve gathered so many tips that it is difficult to choose my favorites. Here are four great ones. Six Tips for a Successful School Year has helped us through our most challenging year ever. Sometimes, when I’m all excited about a new idea, I need to remember Why I Aim to Be A Zero in my Homeschool. 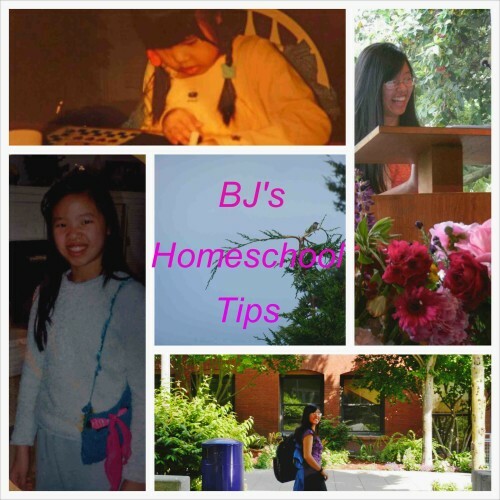 Four of my children are teens or older, so here are two tips for homeschooling teens. An important and exciting role for a mom to play is described in You, Your Teen’s Guidance Counsellor. Homeschooling has many advantages for teens, but it has some disadvantages too. In Competition and the Homeschooled Teen, I share my discoveries about the importance of competition and comparison for teens who learn at home. We have Curriculum Choice Pinterest boards for each of the above categories. Plus our Curriculum Choice Homeschool Helps Pinterest board. ~ Hosted by Cindy West, eclectic Charlotte Mason homeschooler of 3. You can find her blogging at Our Journey Westward and find her curriculum at Shining Dawn Books. Awesome blog!! 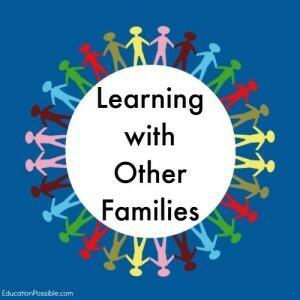 sharing homeschooling tips. This is very much helpful for the homeschooling beginners who are really confused to organize their homeschooling. Great work.